First of all, you should all go over to my best friend Wes' new weight loss blog and show him some support by commenting and following him. :) Click here to do it. I'll wait. Since I'm so close to goal, I thought I'd take a closer look at my weight from the beginning. I went to a website that lets you make a virtual model of yourself (http://www.mvm.com/) and mocked up what my weight progress looks like! I included my starting point, and then my current weight. Next is my goal weight, which is 145, and that is 20 pounds away. I also thought I'd look up the lowest weight the BMI says I can be before I'm considered "underweight." That weight is 118. That would mean, according to the BMI, I could conceivably lose 47 more pounds and still be healthy. 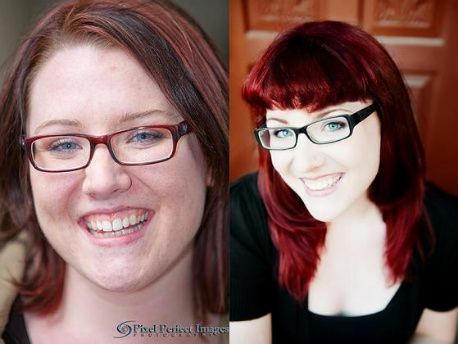 I can't even imagine losing that much weight from my current frame! This headshot was taken about 6 pounds ago. I will update you guys later with some new full length shots and I swear it'll be about pants. GORGEOUS- you were beautiful at your highest weight (wish I could say the same) keep up the great work- you are an inspiration. Love your hair, you're totally hot, well done. I think you look awesome, and I looove red hair! Maybe you are already "Hot Girl"! Keep on Keepin on, it's working! Those head shots are like black and white, BTW. You've done great with your weight loss, hon. So proud of you! Wowza chica. You are beauty-ful at every weight, but there is a certain sparkle in eye these days. It's foxylicious. Success agrees with you. You have made such awesome progress! You look beautiful! WOW!! You look truly amazing! Good for you! I have been following your blog for a little while and struggle everyday with my weight. I am a former skinny person too. Even after my first 3 kids, I still had 6pack abs. 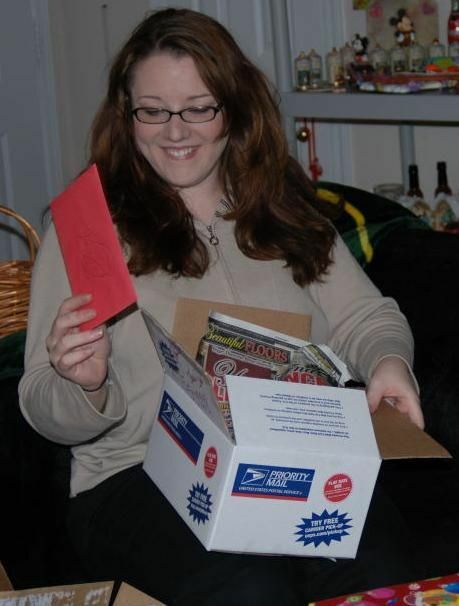 Depression and my divorce KILLED me. Add another baby on top and that equals about 25lbs to lose before I can be comfortable with myself. Food is my weakness...any suggestions? The Bmi is an interesting thing. Recently they held biometric clinics at work as part of their wellness program. My friend Bob who is a long distance runner was deemed overweight. He runs 10 k 4 to 5 times a week. Then the fellow who sits next to me who is a big guy over 6 frt and muscular came back and told me he was considered obese...personally I've always thought he looked great. He laughed about it and said he figures BMI is meant for just average size people and doesn't know how to accomodate outside of the range. I was a tiny, fit 125lbs college cheerleader when I first got pregnant with my son... before he was born I weighed in at 218lbs!!!! The weight gain was due to a mixture of laziness, overeating & gestational diabetes (which was not discovered until late in the pregnancy).LOL &Now I am struggling to get fit again... so I know how you are feeling & I am rooting for you all the way! Great job, Jenny!!!!! I LOVE the red hair, so Vogue!!!!!!!!!! Can't wait to see you in August!! Jen, you look awesome. I think you need to change your blog name to current hot girl! You look great, Jenn! I'm getting to a place where it's weird to look at my before pics. It doesn't feel like that was me in some ways, ya know? Anyway, wonderful job! It cracks me up how similar we are. 145 is my goal too. Down to 158 still - so close! WOW! Love your new headshot! You are gorgeous!! I cannot for the life of me remember where I saw this article but not too long ago I read about BMI and health. The article was explaining that it is not a good indicator of health. A lot of women are are very healthy (blood pressure, cholesterol, strong heart, etc.) and do not have a really low BMI (obviously, they are a healthy weight, still, and are fit though). 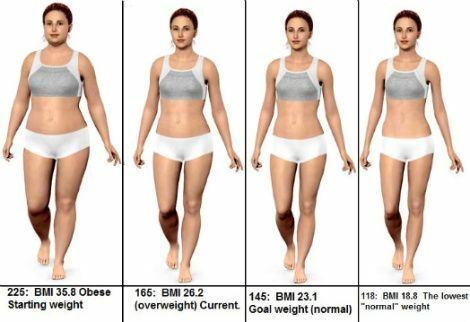 The scary part the article was saying is that a lot of women are in the low-BMI category because they are skinny, so doctors are not concerned about their health, but often they do have high blood pressure, don't work out, etc.... so BMI should not the the teller of health. interesting, huh? LOVING the new hair!! You look awesome! Congrats on how far you've come! I LOVE you're hair color! I've always wished I could pull that off! That web app is so cool! It is amazing to me that your current weight is considered overweight because you look awesome! I just started on my new Wii Fit and set a goal. I am in an overweight BMI and it's time to do something about it! LOVE the hair - it's awesome! Congrats on your weight loss so far! You look great! You look great right now. You look amazing! I am happy for you and grateful you posted this website! I have been looking for it for ever! Thank you!